have fun but don’t be careless! 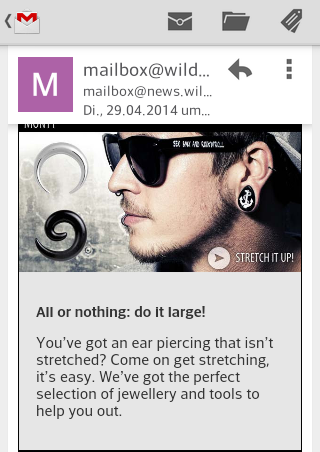 Don’t get me wrong – I do love Wildcat and, as a matter of fact, I’m just waitng for some new stuff from them (their silicone eyelets look and feel nice plus somehow make your ears look bigger than other eyelets I own) but encouraging, or maybe even daring, people (and what’s the demographic they cater for anyway?) to go big without thinking about possible consequences doesn’t seem fair!